The widespread approval of the Turtle Beach 320 headset among gaming enthusiasts is enough proof of its great performance. First, many first-time users are quick to notice that the headset has a fantastic fidelity that matches some of the top-ranking sound devices, but comes at a fraction of their price. You can feel the impressive balance between the bass and the treble all the time. Secondly, you will notice that this headset yields greater spatial accuracy and first-rate sound quality, which explains its remarkable audio qualities for all gaming sessions. That is why many users find it easy to pinpoint the position of the enemy with remarkable accuracy. As such, your chances of success in competitive gaming sessions are greatly enhanced by this top-class device. When we talk about the convenience of using an ultramodern headset, we may be referring to the user-friendly qualities of the headset. In this regard, The Ear Force Recon 320 is way ahead of other headsets within its range of price. The headset is easily adjustable, which enhances the quality of comfort that you get from its usage. It is also designed with rotating cuffs for extra convenience. * High-sensitivity mic for utmost convenience. * Amplified Neodymium speakers for great sound quality. * Comfortable ear cushions for extended play. Many reviewers readily agree that the Ear Force Recon 320 has an exceptional quality of surround sound that puts it in a class of its own. One of the distinguishing strengths of this headset is that it operates with the 7.1 surround sound quality that entails two discrete channels of sound to achieve a remarkable sense of realism. You need such a quality for a fulfilling gaming experience. The unique upgraded quality of the sound creates an immersive feeling by matching the visual and the audio qualities of the game. As such, the spatial dimension and the audio definition of the game are greatly enhanced. The combined effect of these advantages gives you a satisfying feeling of control, which improves your odds of success in the high octane shooting games. This headset comes with a high-sensitivity mic that gives you the double advantage of freedom and flexibility. The mic is uniquely enhanced to give you a high quality chat that adds a taste of convenience to your gaming life. This mic is fully adjustable and removable. Its aspect of convenience derives from the distinct in-line control for muting and volume adjustment. You should try out this mic to feel the difference between the functional uniqueness of this mic and the ordinary mics that you might have used previously. The functional superiority of this mic means that you can chat with other players or receive your phone calls without compromising on your tactical accuracy at all times. Every PC gaming enthusiast likes to use a headset that delivers full-range audio. The designers ensured that it has amplified Neodymium 50mm speakers that produce powerful and refined quality of sound to rev up the spirits of the devoted gamer. You can trust these speakers to give you the powerful low sound and the crisp high effect for an immersive gaming session. The quality of performance of some speakers tends to diminish with time. Every committed gamer wants some assurance of longevity before spending their money on a new device. 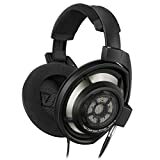 However, the speakers of this headset are known for their consistency in producing top-quality sound as long as they are well-adjusted and kept in perfect working condition. The enhanced quality of cushioning on this headset is meant to achieve two goals. The first one is to guarantee a greater feeling of comfort on the ears whereas the second goal is to cancel out the external noises that compromise the quality of sound. The ear cushions have a breathable mesh that gives them a cozy touch for long play comfort. The cushioning works well with the over-the-ear design to isolate discordant sounds that impair the overall quality of sound. Therefore, you will find this headset ideal for use in crowded places or during travel. The good thing is that the designers intended it for both indoor and outdoor use. That is why many customers consider it as the best for extended play. One of the winning aspects of the Turtle Beach – Ear Force Recon 320 is its mobile gaming versatility. You do not have to restrict its usage to your PC. As you will notice, the Turtle Beach In-Line mic can connect to any of your mobile device for a truly immersive experience. You imply remove the mic from its In-Line place and have it replaced by the device of your choice. Compared to many other headsets within its range of price, the Turtle Beach is way ahead in terms of the fine responses of its controls and the wide range of utility options. Its noiseless appeal remains consistent no matter the kind of device on which it is connected. That is why it continues to engage the passion of stylish people across the board. * Comfortable on the ears because of the breathable mesh. * Aesthetically enhanced for a stylish appeal. * Impressive surround sound quality. * Removable and flexible mic for comfort. * Optimized for noise isolation. * The plastic material may break easily on hard impact. A. It weighs 3 pounds. Q. What is the main color of this headset? A. It is predominantly black with some red parts. This product is currently rated 3.4 stars on Amazon.com after 98 customer reviews. 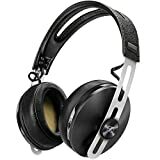 The headset was ranked favorably by customers who expressed satisfaction in its quality of sound. Other customers were pleased by the high quality of cushioning and the breathable mesh, which they considered superior to ordinary standards. The Turtle Beach headset was lowly ranked by some customers who considered it as highly susceptible to breaking because of its plastic body. Other reviewers thought that its sound quality was not up to the mark. Overall, most reviewers considered this headset as a high quality device that is sure to enhance the PC gaming experience. The Turtle Beach Ear Force Recon 320 is a top-ranking headset that gives you the clearest quality of sound that you need for a fully immersive session. The crispness of its sound gives you the great tactical accuracy that you need in a highly competitive game. We recommend this headset for any gaming enthusiast who wants great sound quality, comfort and durability.